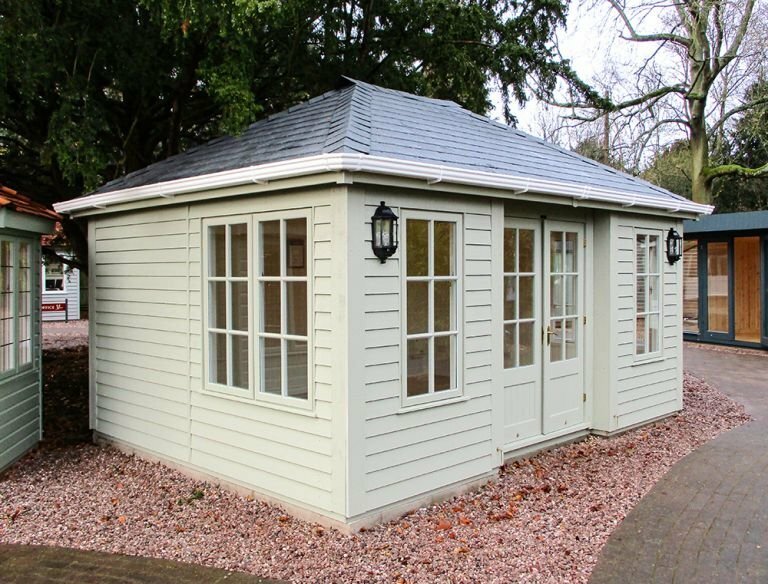 A large garden building, suitable for year-round use, this Garden Room is traditional in style with its hipped roof, weatherboard cladding and Georgian windows. 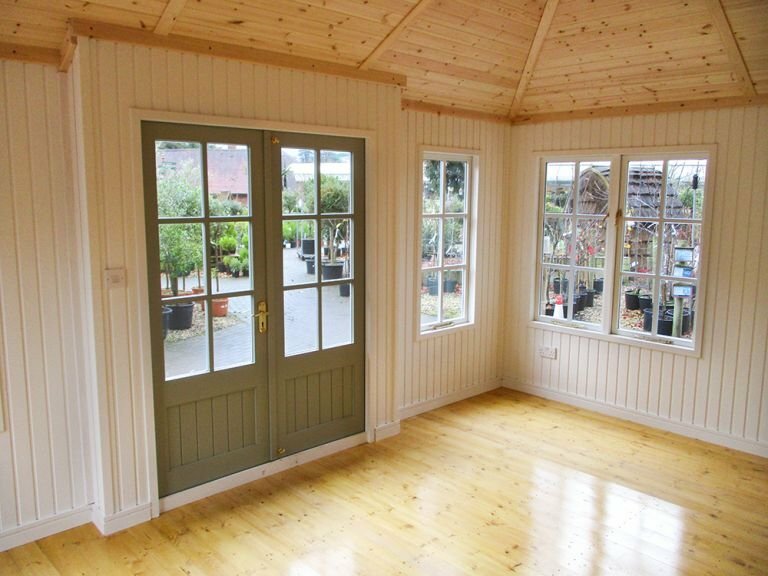 Our Garden Rooms come with full insulation, double glazing, an electric pack, and matchboard lining as standard, making them perfect for use as a garden office, hobby room, or relaxation room throughout the year. 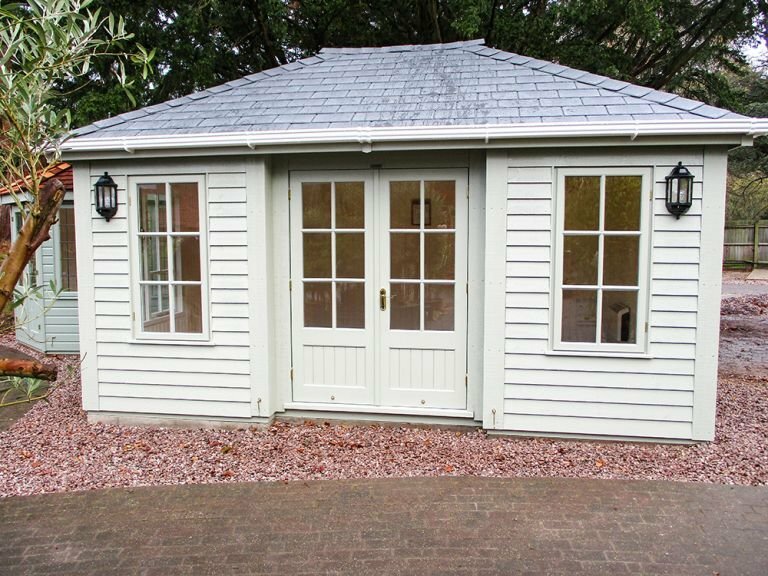 Grey slate effect roofing tiles, and Farrow & Ball's paint colour, French Gray, give a natural look that will blend in with your garden.